Security and transparency is the prime code of conduct at Mongoose Casino. By providing transparent and secure gaming environment for our players, Mongoose Casino takes every measure to make sure your gaming experience is unhindered by any security issues. For full information, go to our Account verification page. We maintain the utmost level of means to ensure that all your personal data are secure with us and are not disclosed to any third party. Our website is fully SSL encrypted (Secure Socket Layer), meaning all information disclosed on our website is transmitted securely. This security protocol enables all the information input on our website (account information, credit card details etc.) are in encrypted format along with every page on our website and this prevents your information from becoming vulnerable. Mongoose Casino has been fully certified by Thawte’s SSL web security with Extended Validation, meaning all information and transactions are processed with the security of the highest order. An EV Security level provides the strongest encryption level and in order to comply with Thawte’s security requirements, MongooseCasino.com has gone through the process of validating our operations, personal identification and authenticity of our business. Find out more about Thawte and their SSL Web Server Certificate with EV by clicking here. At Mongoose Casino, players can choose from a myriad of different payment and withdrawal options, players are thus offered incredible flexibility in regards to how they can move money in and out of their accounts. Moreover, players can confidently transact knowing that Mongoose Casino maintains the highest and most up to date security standards with regards to transactions. With the use of Credit or Debit cards, no records pertaining to players’ personal information will be stored on our database. Rather, all payments and withdrawals will be processed through our trusted banking partner – a company that is fully compliant with PCI and that follows a solid and secure framework for processing card payments. At Mongoose Casino, gambling is intended to resolute as a form of entertainment and nothing more. We identify the potential negative issues related to gambling disorders and take all measure to make sure our players do not experience such issues while playing at Mongoose Casino. As part of our willingness to prevent such negative aspects of gambling, we have taken measures such as setting deposit limits, player lock outs and identifying any addictive gambling patterns to take suitable measures and prevent any long term negative effects on players. To learn more on our position on preventing problem gambling, go to our Responsible Gaming page. To enhance our customers’ confidence in the soundness of our gaming platform, Mongoose Casino has our systems, algorithms and practices available for inspection and review by independent auditors on a regular basis. Using state of the art technology through well-established, recognized partner providers, we are transparent in how we conduct our business and audited on a regular basis. Mongoose Casino is licensed and authorised by the Government of Curacao and operates under license number – (to go here). Through our internal operational protocol and infrastructure, we ensure that all of the high standards required within our licencing agreement are met. Mongoose Casino also makes sure we abide by the laws and regulations of the jurisdiction within which we do business. Mongoose Casino retains detailed transaction records of all financial transactions as well as game play history. These records are securely archived and are accessible to the customer, any legitimate gaming commission, or government authority upon formal request. Aside from this, our group of companies is audited and reviewed annually as with standard business practice. As part of our upfront and transparent philosophy, Mongoose Casino is audited on a monthly basis by 3rd party independent auditors, to ensure that our payout rates are industry standard and giving a fair deal to our customers. This is performed by eCOGRA who are well-known, established auditors who perform the same checks across many different gaming operations throughout the world. Click on the below badge for verification of Mongoose Casino.com with eCOGRA. Find out more about eCOGRA by clicking here. Identifying the fact that the risk of virus and malware has escalated with the development of the worldwide web, Mongoose Casino offers all its casino games and functions directly through your web browser. 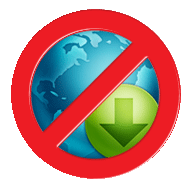 This enables no third party contents to be downloaded in your desktop which ensures that the risk of any exposure of virus or spyware onto your compute is significantly reduced. Mongoose Casino requires absolutely no download from the very beginning meaning players can register, deposit, play casino games, win and withdraw directly from the safety of their web browsers.